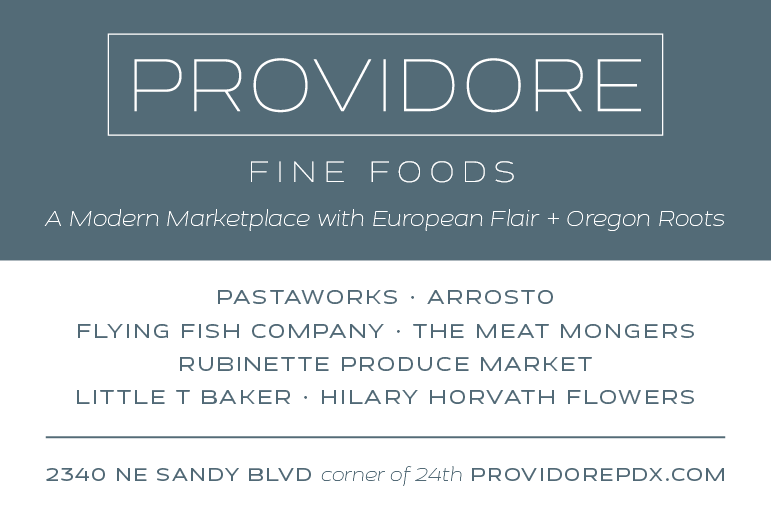 The Portland food boom continues: we're already famous for our beverages like beer, coffee, tea and wine—OK, sodas and drinking vinegars, too—our chefs, restaurants and food carts are second to none, and there seems to be a recent explosion of nouveau ice cream parlors out-weirding each other with crazy (and sometimes very unappealing-sounding) flavors like bone marrow, avocado, blood pudding and, because it is Portland, after all, bacon. 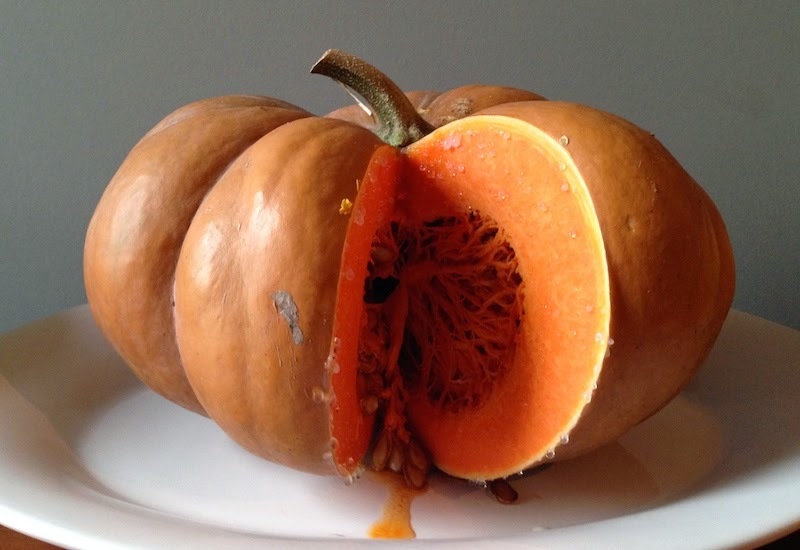 When I saw squash ice cream on the roster at a recent Squash Party—hosted by Lane Selman and Alex Stone of the Culinary Breeding Network to taste new and unusual varieties of cucurbits—you could say I was a bit skeptical. But then two things convinced me to give it a chance: that it was concocted by Tim Wastell of Firehouse restaurant, a guy as dedicated to field-to-table dining as anyone in the city, and that it was made from one of Ayers Creek Farm's astonishing and deeply flavorful Musquée de Provence squashes (above left). Creamy, sweet and luscious, it was all I could ask from an ice cream, particularly since it was served on a pumpkin seed sablé, a type of French biscuit that was made just for the tasting by Linda Colwell. I came home and told Dave about it, thinking he might be up for attempting a sorbet, since due to his lactose-intolerance he's been whipping up some mighty fine examples in his ice cream maker. We also happened to have one of those same Musquée pumpkins that I'd picked up from the market the week before, and I had a feeling it might just match well with the cranberry tart I was planning on taking to Thanksgiving dinner. Right on all counts—the rich sweetness of the sorbet melded perfectly with the tart cranberry-orange of the tart—we're now intent on doing some further experimenting in the less-traveled roads of sorbet-making. I'll keep you posted. Cut squash in half and scoop out seeds. Cut the squash into 1/2” slices and place on a parchment-lined baking tray. Place in oven and bake until the squash is fork tender, about an hour. Remove the squash from the oven and set aside to cool. 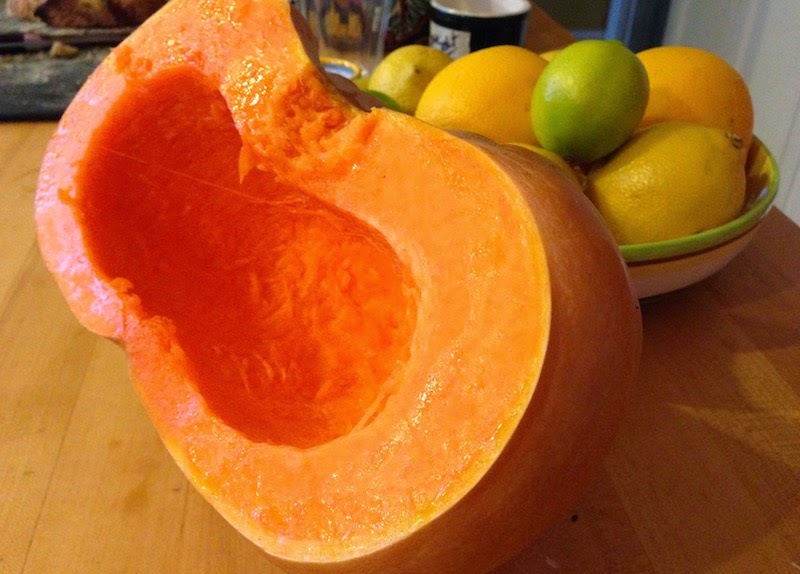 Once squash is cool, scoop out the flesh from the skin and purée in a food processor. While the squash is baking, in a medium saucepan combine 1 1/2 c. sugar and 1 1/2 c. water. Heat briefly over low heat, stirring until sugar dissolves completely. Set aside to cool. 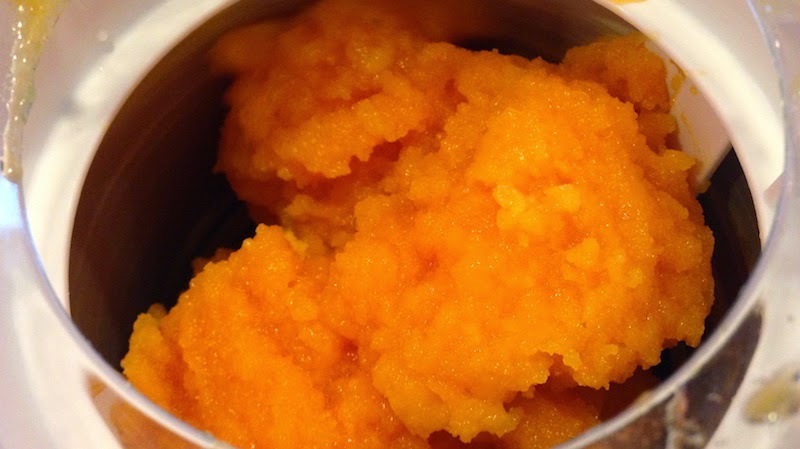 In a blender, blend 2 cups of squash purée with simple syrup, lemon and orange juices until smooth. Freeze in an ice cream machine according to manufacturer's instructions. Store in the freezer.